Of all the lighthouses in the world, none was built further from the body of water it lit than the one on top of Bidston Hill, on the Irish Sea coast in England. This hundred-acre hill of heathland and woodland on the Wirral Peninsula is one of the highest points on the Wirral, visible for miles around, especially from the sea. The first pair of lighthouses went up in 1763 to guide ships through the shallow sandbanks on the mouth of the estuaries of River Dee and River Mersey as they approached the Port of Liverpool. When one of the lower light collapsed a few years later, it was replaced by a new lighthouse further inland on Bidston Hill, almost four kilometers from the sea. The upper light at Leasowe then became the lower light. These two light are also located 3.7 kilometers apart, making them the furthest apart of any pair of leading lights in the world. 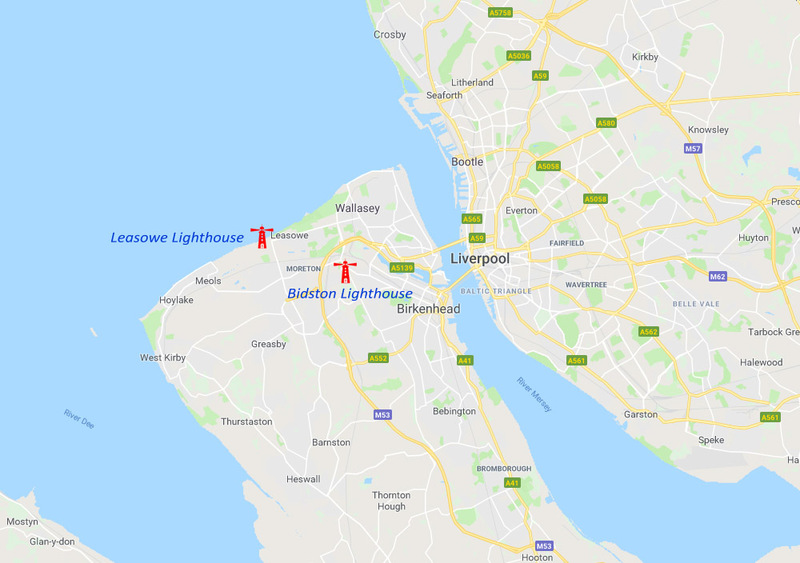 Because the Bidston Lighthouse was located nearly four kilometers from the sea, Liverpool’s Harbour Master, William Hutchinson came up with a new method of illumination—a parabolic reflector. It was the first time such a reflector was used in a lighthouse to concentrate the beam of light. The reflector was twelve feet in diameter, probably the largest ever made for a lighthouse. This reflector was made of a concave piece wood covered with small strips of mirror. The reflector, however, had some problems. The oil lamp consumed a lot of oil and produced a lot of smoke that tended to obscure the reflector. Eventually, it was found that several smaller reflectors, arranged so that their beams were parallel, gave an equally bright light and used less oil. The mechanism worked for more than a century, until the reflector was replaced by Fresnel lenses in 1873. The lighthouses remained operational until changes in Liverpool Bay rendered them obsolete in the early 20th century. The channel that ships used to enter and leave Liverpool’s port had so badly silted up that it became unnavigable requiring ships to take a different route rendering the leading lights ineffective. 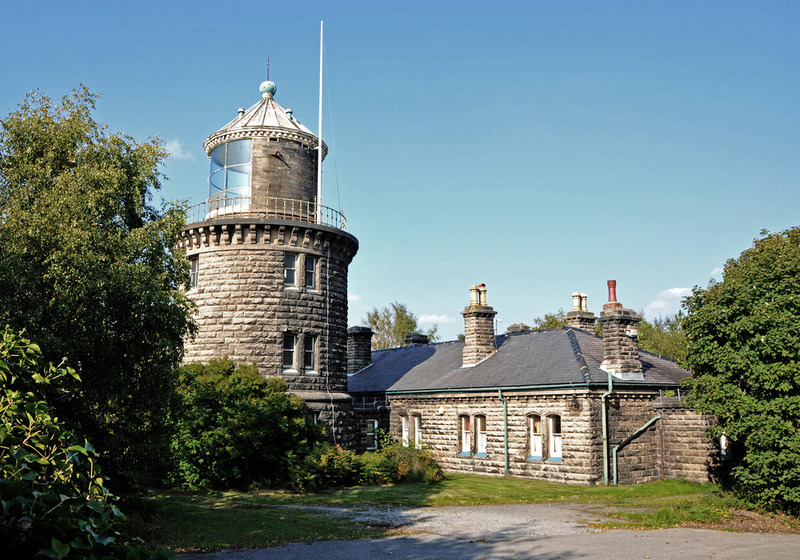 The Bidston Lighthouse was extinguished in 1913. 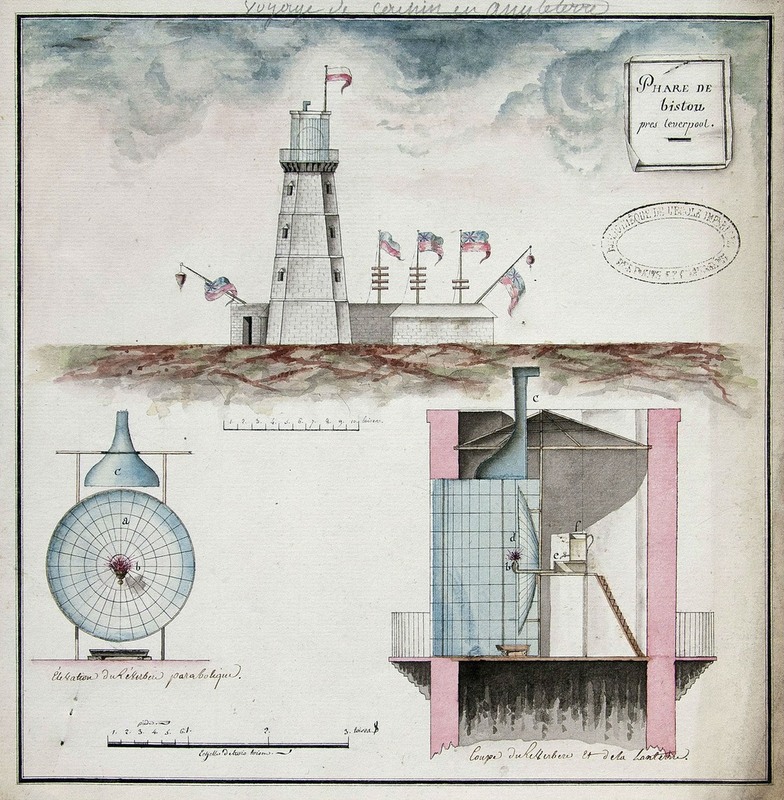 Drawings of Bidston Lighthouse and reflector, by Joseph Cachin, 1785.